Kentucky Derby @ In Fine Spirits Reviewed by Edgeville Buzz on May 2, 2009 . 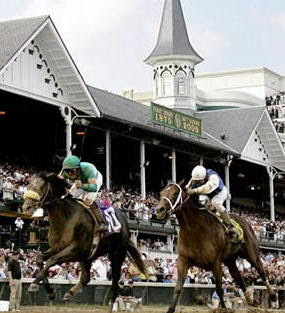 Kentucky Derby Day Party TODAY May 2 – 3pm – 2am @ the Bar Celebrate the Run for the Roses with us! We’re featuring a Derby Hat Contest, Pick-Your-Spirit Mint Juleps, food specials, and more. You can win prizes for picking win, place, or show! Celebrate the Run for the Roses with us! We’re featuring a Derby Hat Contest, Pick-Your-Spirit Mint Juleps, food specials, and more. You can win prizes for picking win, place, or show!